By helping to direct cy pres funds to Bay Area Legal Aid (BayLegal) you are ensuring that the most vulnerable members of our community are afforded equal access to justice. BayLegal is a worthy and unique recipient of cy pres funds. 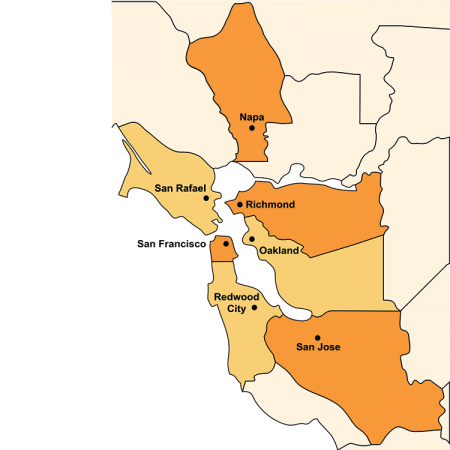 We provide free legal assistance to the poor throughout the San Francisco Bay Area and we are the only legal aid program with offices in Santa Clara, San Mateo, San Francisco, Napa, Marin, Contra Costa, and Alameda Counties. We are also the only legal aid program that operates a legal hot line serving the entire Bay Area. Low-income people needing legal assistance can call the hotline and receive immediate counsel and advice on their legal problem. BayLegal has received cy pres funds in a variety of cases including: unfair business practices by mortgage lenders, unscrupulous car dealerships that misrepresented the terms of car leases, and banks that overcharged for their services. Helping consumers protect themselves by representing them in cases such as: fair credit reporting, fair debt collection practices, unfair and deceptive advertising of financial products and services, and innocent spouse tax relief. Working to avoid homelessness and preserve and expand affordable housing by enforcing housing laws and regulations. Providing survivors of domestic violence the legal assistance they need to escape abuse and create a safe and stable environment for themselves and their families. Securing basic income and support services for those overcoming barriers to employment and education as they gain self-sufficiency. Helping individuals and families access essential health care services and insurance coverage through the Affordable Care Act. 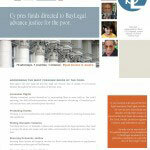 Please consider BayLegal when making your recommendations for cy pres distributions. Click here to access sample pleadings prepared by the California Commission on Access to Justice to assist you with an application for a cy pres distribution. For additional information, please contact us at (510) 250-5234.